Here at LoanPig we understand that with events like Brexit and the overall economic instability we are all facing it can make it hard to know where to put your hard earned cash. While some people joke about being tempted to put their cash under their mattress as opposed to putting it in the bank, there are in fact some great ways of storing your money out there. The following safe and secure places to keep your money can offer you a great place to store up a reserve of cash in the event of an unprecedented emergency situation or stock market problem. Bonds are one way to ensure that your money is kept in a safe place and they invest in debt issues by governments and companies. Bonds pay a fixed income for a particular period of time and the risk associated with this is that the government or company in question cannot pay its debts and defaults. Another risk associated with bonds is the power of inflation which impacts how much you will earn back. While some turn away from investing their money in equity income as it involves placing money into the stock market, it does offer a more secure solution when you choose a steady company to invest with. Equity income funds want companies who are willing to pay dividends regardless of the state of the economy at any given time. For the best return on your investment experts suggest that you are best off placing your money into companies that will always see people spending money with them. This includes utilities, tobacco and healthcare. Those of us who are worried about the financial state of the country may well want to consider investing their money into gold. 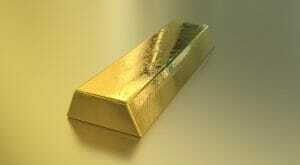 Gold is seen to be a great way to secure your money as it offers a tangible and physical representation of value. Regardless of whether a company goes bust etc. you will always be able to sell on gold. It is recommended that rather than you keeping gold coins etc. around the house that you are better off using an exchange trading fun which tracks the cost of gold and owns bullion to the sum of gold you have in the fund. A good example of this is iShares Physical Gold. A sound investment portfolio would definitely benefit from putting money into the stock market behind infrastructure funds. Experts say that infrastructure is a great place to put your money as it is almost certain to make money. Investors are likely to receive a decent pay off from long term leases such as airports for example, in the form of an income. Another way to store your cash safely is through cash but ideally this should be kept inside a bank as opposed to under your bed or in your wardrobe! Cash is not affected by the rise and fall of the market and ensures that your money is ready when you are ready to invest. Cash ensures that you are not likely to lose money in the event of an emergency.